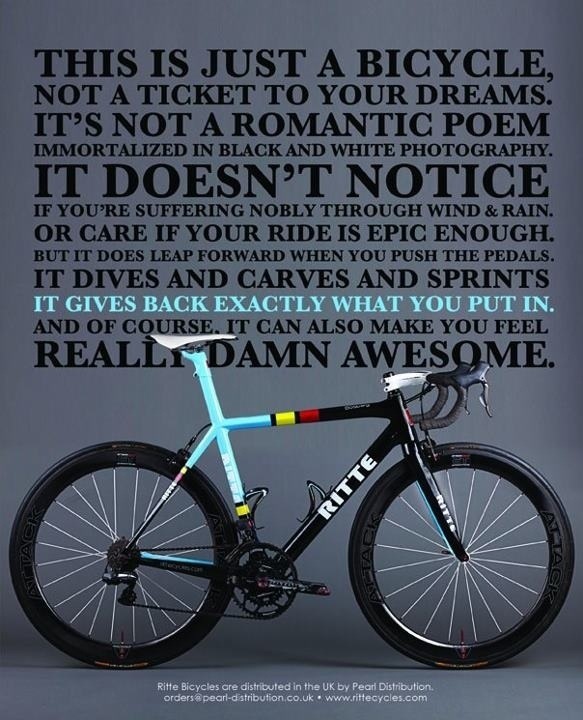 Friday bike poster: this is just …. 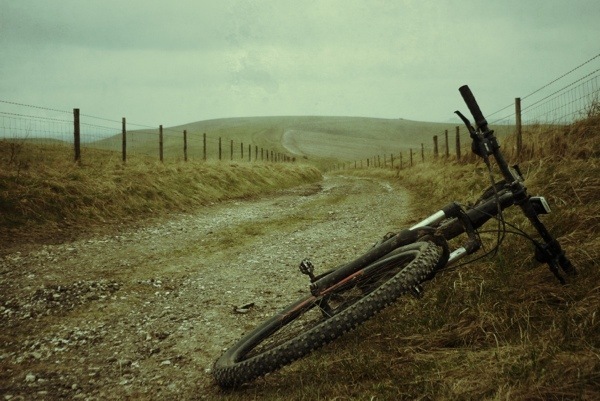 Author richdirectorPosted on May 31, 2013 May 31, 2013 Format ImageCategories bikes and cycling, Road bikesTags friday bike poster, ritte, road bikeLeave a comment on Friday bike poster: this is just …. Knoll’s video doesn’t feature the sorts of death defying jumps and tricks (or indeed budget) we’ve come to expect from trials rider supreme, Danny MacAskill. Instead it’s a collection of finely honed tricks and stunts that owe a lot to his origins as a flatland BMXer, although this isn’t by any means pure flatland as there are obstacles involved in many of the tricks – including lorry trailers although the most impressive bit is him somersaulting off one bike and on to the pegs of another… although you might think differently. 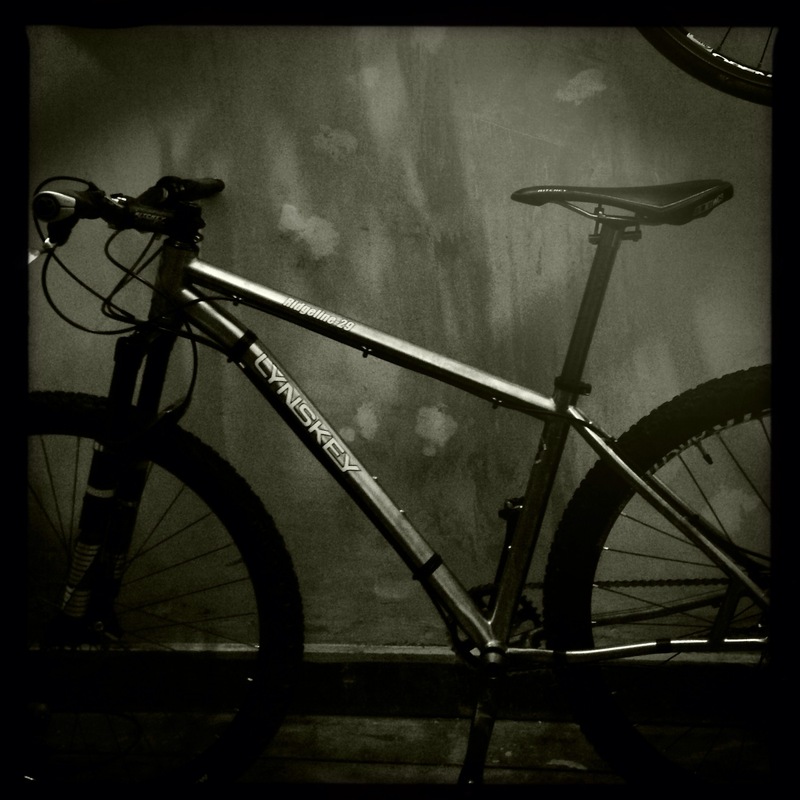 This morning was a ride and a plan that i don’t do often – got dressed up in my mtb gear pushed m bike down to the school and dropped the girls off and set off directly from there 9am. I don’t normally get up that early for a bike ride but it was well worth it. The sun was out and already i had stuffed my jacket into the camelbak. 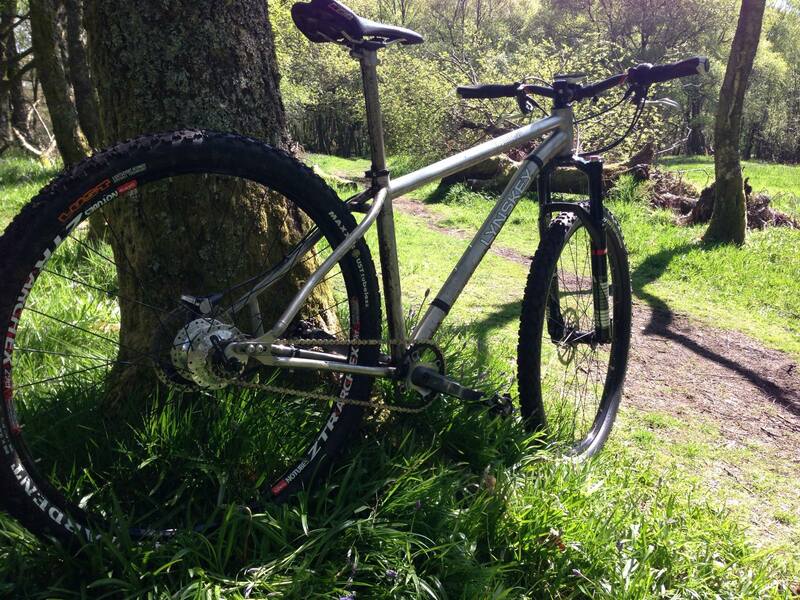 What a blast – up to Bearsden and the hills beyond on my Lynskey Ridgeline 29er. 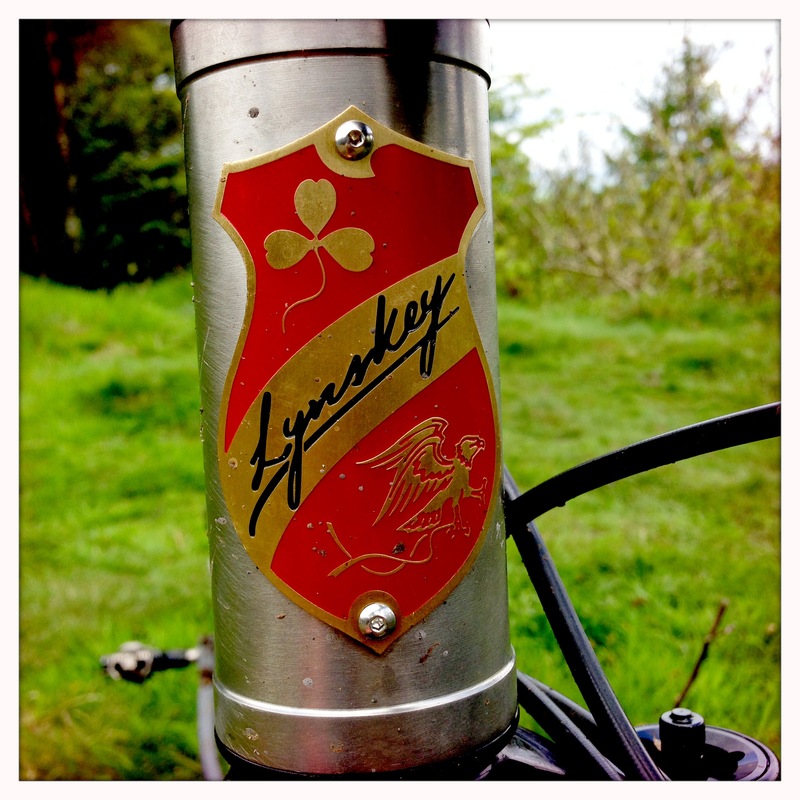 I think I love this bike …. a lot. It is so effortless and quick. 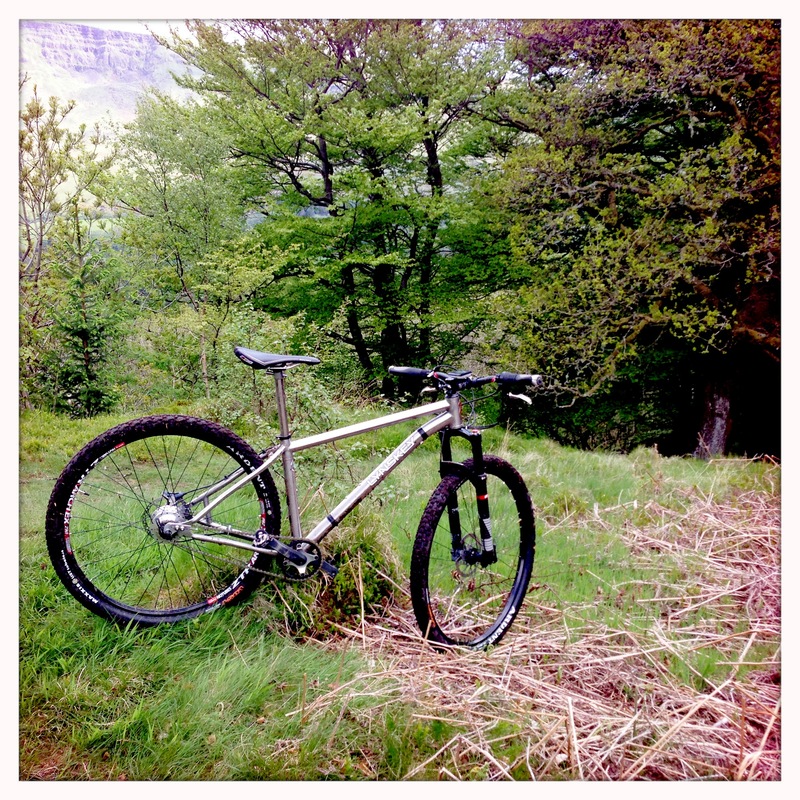 I did trails today quicker and with less effort (and mainly with less fitness than I did them before) The bike flows over obstacles so much better than my old carver. 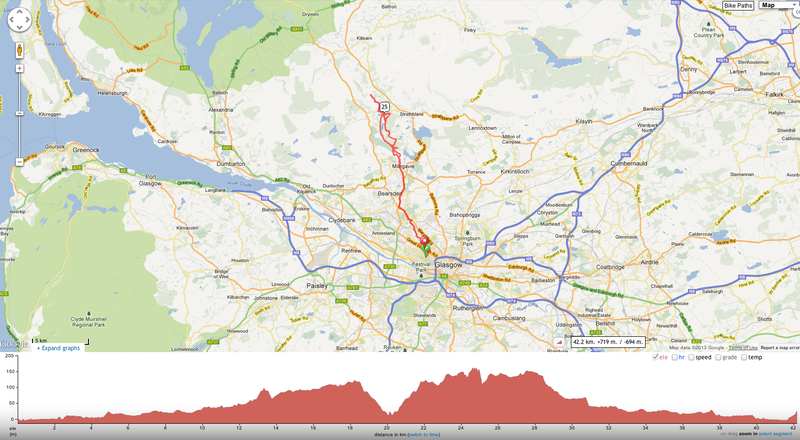 I even bagged a KOM on one section with little effort …. mind you only 68 people before and only a few seconds up on my previous attempts. Went up some old trails and was also impressed by the traction once again from the Maxxis Ardent tyres so grippy yet still fast rolling. I went down some trails that I had never been down before – one in particular seemed very sweet then suddenly the angle got steeper and steeper – suddenly it was a 45 degree slope and i was hanging on. I guess over time I have become particularly good at crashing so did a slow slide of doom before i had to jettison prior to going over the bars. I loved it I picked myself up laughing with a scrape on my leg and mud on the gloves. Stopped on the way home at the garage and used the jet wash – a quick and cost / time effective way to clean the bike. The privately-funded Citi Bike scheme saw 6,000 branded bikes docked at 330 stations across Manhattan and parts of Brooklyn on Memorial Day. Launching the programme, Mayor Michael Bloomberg described the project as a “big win” for New York. “It’s going to give New Yorkers another way to get around town by extending connectivity from subway and bus stops. It’s also going to be great for our millions of visitors, allowing them another way to see the city, including making our incredible waterfront more accessible,” he added. 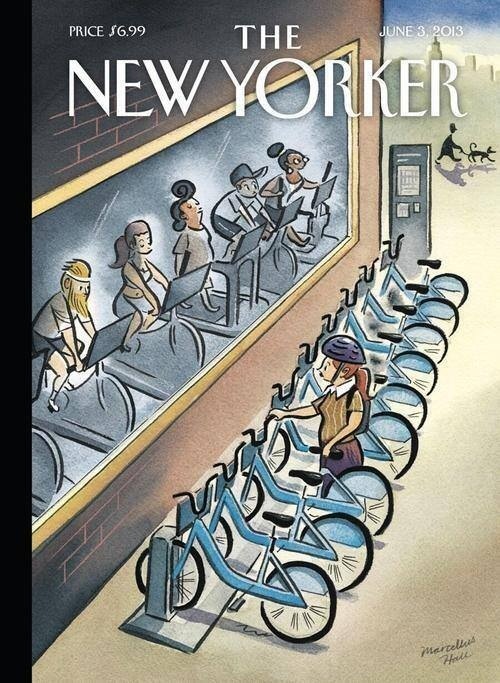 As of Monday’s launch day, around 9,000 people had signed up to use the bikes. It comes at an annual membership of $95. The scheme follows similar bike-sharing programmes in Paris and London. The New York scheme is the largest in operation in the US. Their introduction has not been without the odd bump in the road, however. Some Manhattan residents have complained about docks being placed outside their apartment blocks. In the weeks running up to the launch, public meetings heard complaints that the docks could prove to be a hazard by getting in the way of fire trucks. Others have complained that they eat into precious car-parking space. On Monday, pockets of protest could be found among the riders. In the Manhattan neighborhood of Soho, a small group demonstrated at a docking station placed at the site of a small city park once reserved for public art works. Meanwhile police reported that not all of the bike users had signed up for the scheme, with one woman just helping herself to a bike. Officers say the thief struck Sunday night as workers unloaded bikes at 25th Street and Second Avenue. 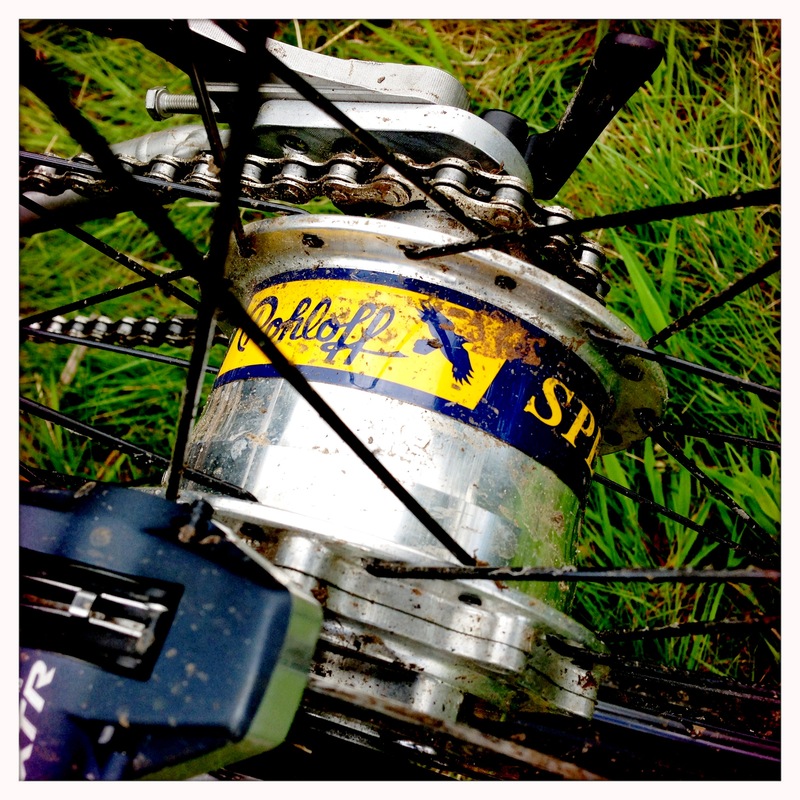 There are many a subject that us mountain bikers like to debate, but nothing is a hotter topic right now than the great wheel size debate. 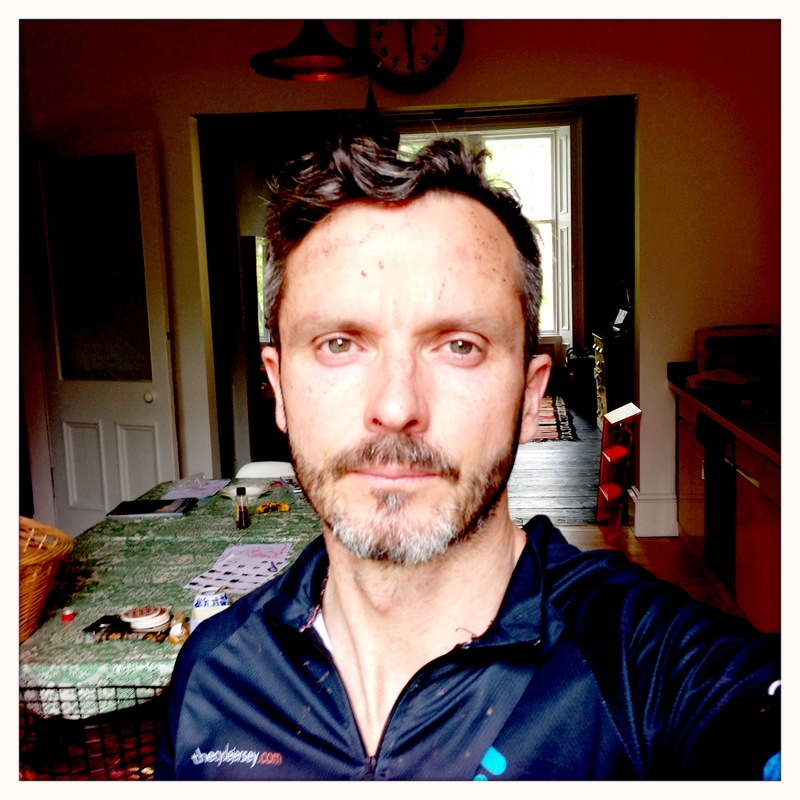 Well you can all sit back and relax cos Chips, legendary editor of Singletrack Magazine and bike guru has spoken up and settled the argument for us, so we needn’t give it another thought! Well did you read that? It seems conclusive that the main manufacturers are dropping the current 26″ standard in favour of 650b (27.5″ in English). Apart from a few isolated models it seems that 29″ and 650b will make up next years crop of bikes, with the 650b being the wheel size for the DH and all mountain brigade and the XC wheel of choice will likely continue to be 29″ and on a hard tail. 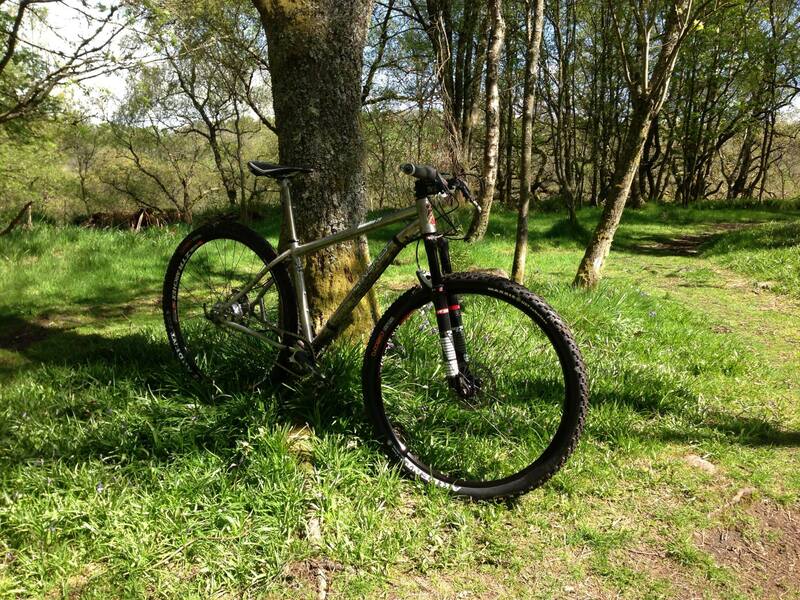 Author richdirectorPosted on May 29, 2013 June 27, 2013 Categories 29er, bikes and cycling, Equipment & Reviews, mountain bikeTags 26, 27.5, 29, 29er, 650bLeave a comment on Does Size Wheelie Matter? 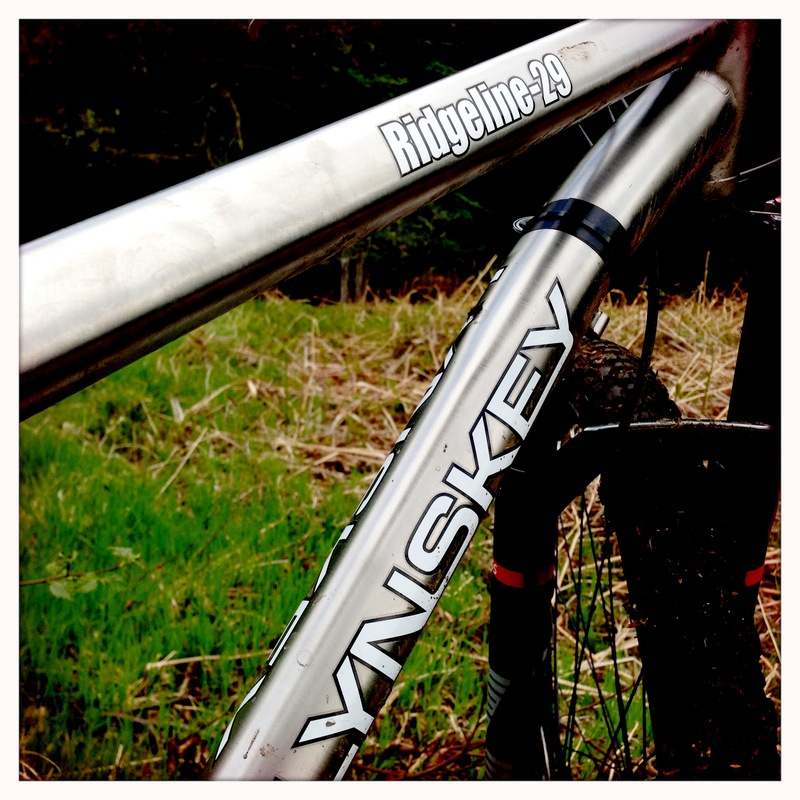 Meant to put this up the other day but here is the build of the Lynskey Ridgeline SL 2012 with Rohloff Speedhub. 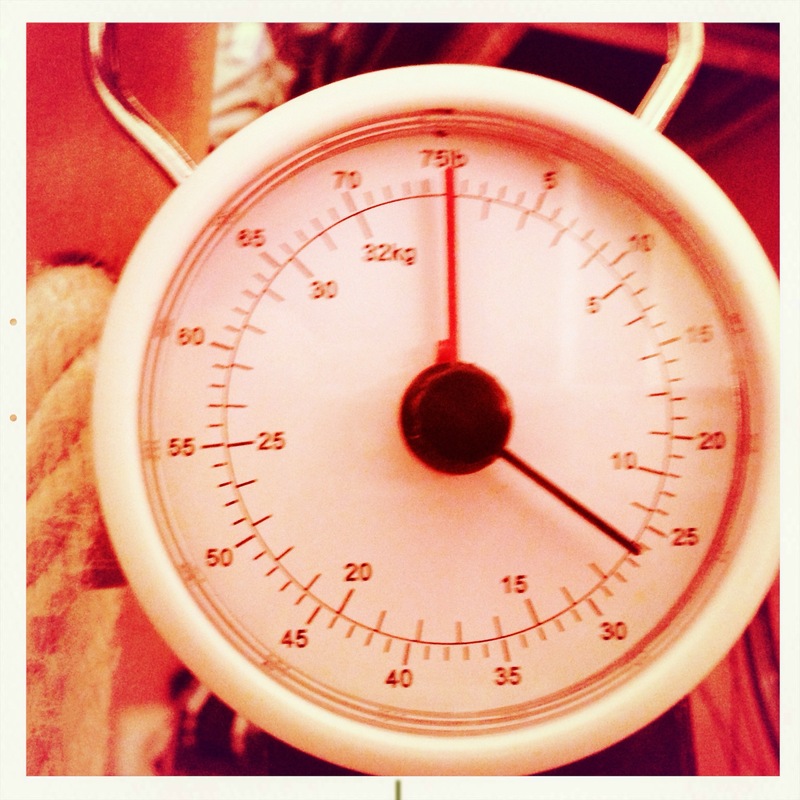 A very solid bike even it isn’t the lightest 26.5lbs …. 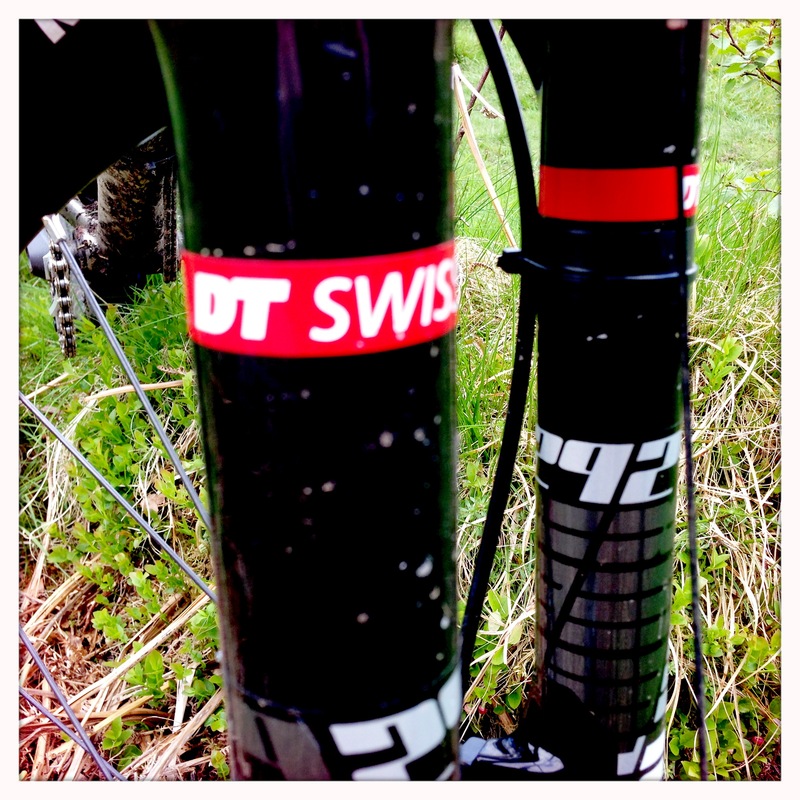 there is always a favourite tyre – lazyrando swears by his conti tyres …. I love my Continental Trail King tires. I’ve used my first pair for over a year and had zero flats, burps or other issues. 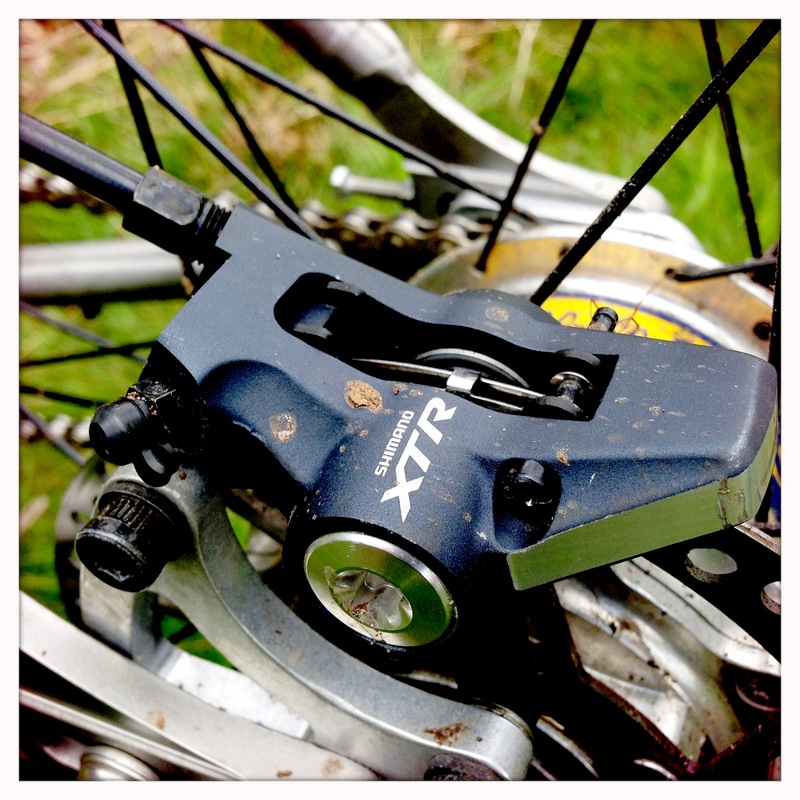 Just great traction and reliable performance. So when I started to uncharacteristically spin my tire on steeper looser climbs I checked my rear tire and it was worn badly. Time for new rubber. 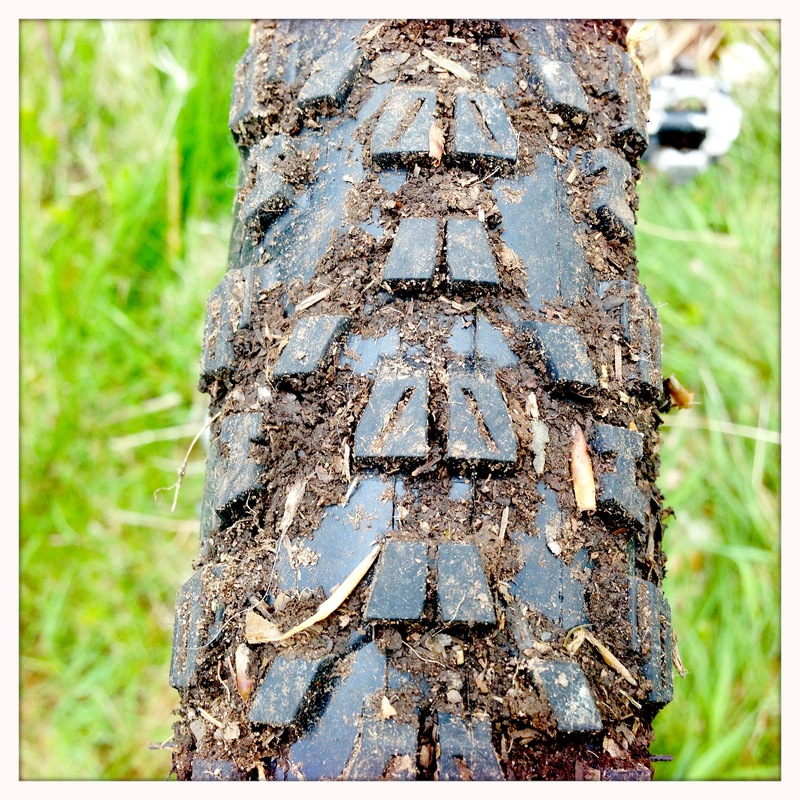 The new tires say Rubber Queen on them because that’s what Trail Kings are called in Europe. Different name, but same tire. I bought the UST version again. 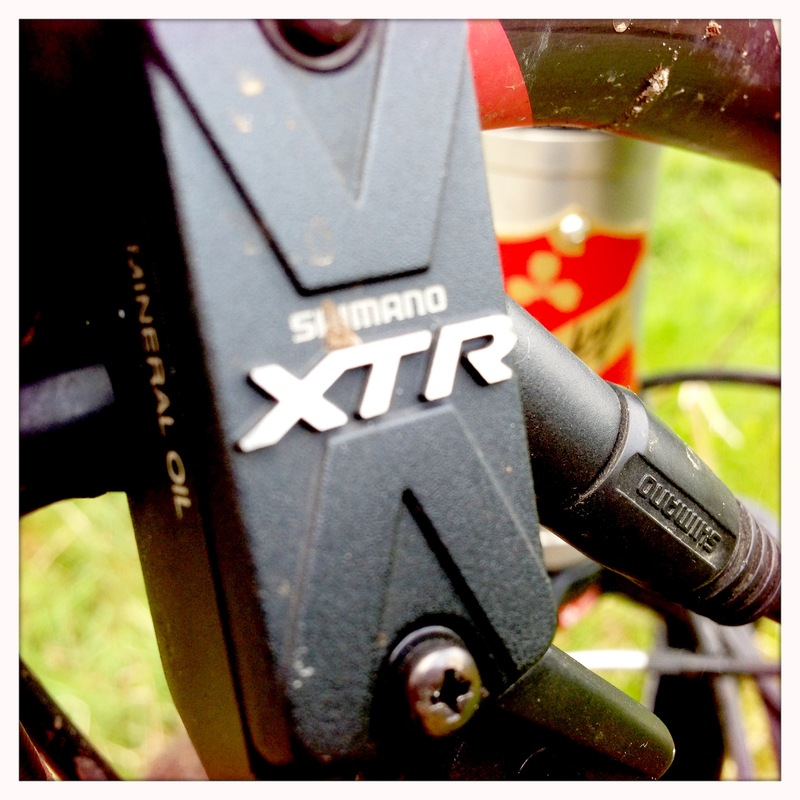 They are heavy, but I love the traction and how great they are to setup tubeless. I chose the 2.4″ size a second time because I love how the large diameter tire rolls over roots and rocks. Skinny tires aren’t faster if you get hung up in every tech section.